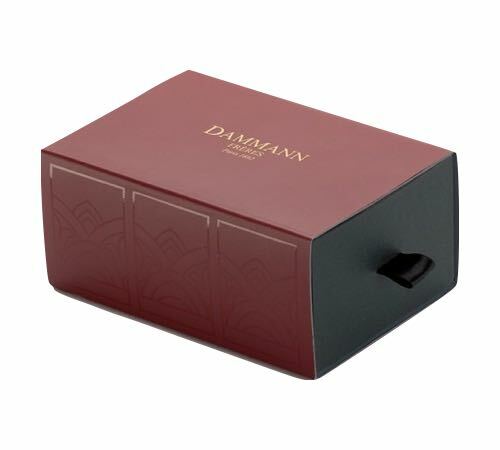 Discover the ‘Trianon' tea box by Dammann. A small gift box containing a tin of "Nuit à Versailles" loose leaf tea and a small jar of jelly. "Nuit à Versailles" metal tin x 30g loose leaf tea : A lovely blend of green tea enriched with kiwi, bergamot, peach, orange blossom and violet. "Nuit à Versailles" jelly x 50g : A jelly based on the Nuit à Versailles tea.